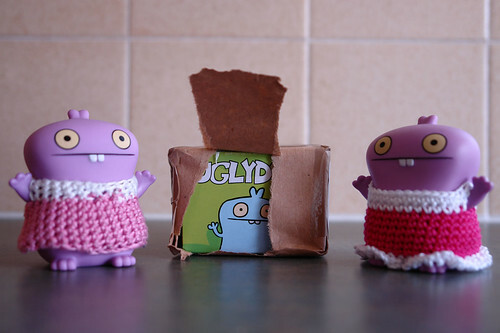 Uglyworld #122 - A Package Arrives Addressed To Babo, originally uploaded by www.bazpics.com. This morning the postman arrived with a small package which was addressed to Babo. Now up until yesterday that would have been easy to deal with but there were now two Babos here and neither of them had any idea which one the mysterious package would be for so they decided that the best thing to do would be for both of them to open it together.